As we get older, our life brings us in different directions, some planned, some a surprise. All the best plans can never prepare you for the unexpected. Perhaps egotistically, I always think I am prepared. 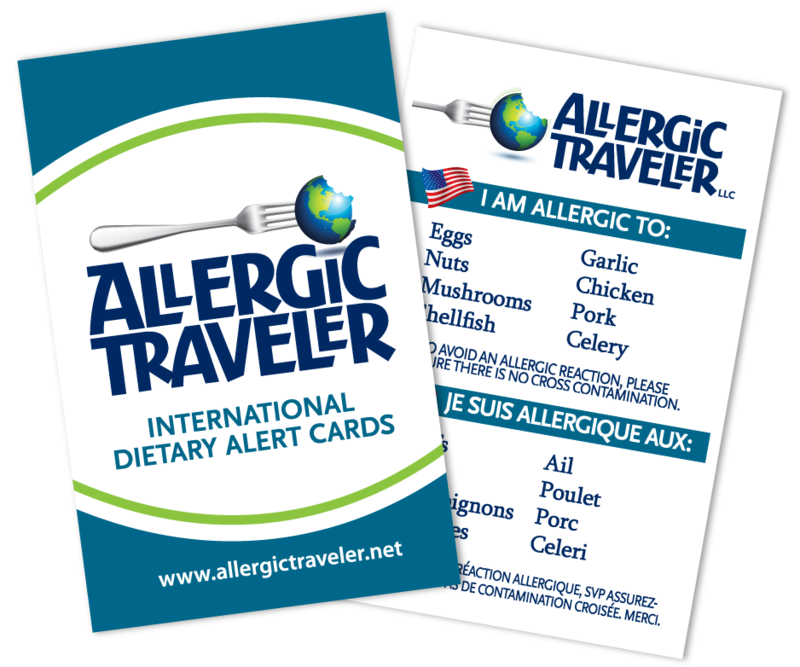 This allergic traveler always carries her meds, her Epi-pen, her medical alert and her Allergic Traveler cards. However, when I am at home, I don’t have all of them on me. They are in a safe place, where I can easily access them. Anyway, back in my early twenties, when I was living with my longtime roommate, I had an interesting allergic reaction. Now keep in mind that I never asked my roommate to cater to my allergies. If she was making something I was allergic to, I would leave the room and she would bleach everything when she was done. One day, while I was out, Caroline (my roommate) made egg salad. I am highly allergic to eggs. When I came home I saw a dish soaking in the sink. Not thinking anything of it, I picked it up to wash it. I immediately dropped it as my hands started itching like crazy. I asked Caroline what was in it. She proceeded to tell me and to apologize profusely. I know she was simply not thinking and it was not intentional. She had lived with me long enough at this point, that she knew the drill. She simply did not think twice about it because I was not home. Once I realized what was happening, I stuck my hands in the freezer. I know it’s strange, but the cold has always helped me with my allergic reactions. It helped reduce the swelling and the itching. The lesson I learned from this was “always ask before proceeding.” You never know what is going on when you are not around.